Round Rock Moving Business aims to provide our customers with the utmost in convenience. From packing services to portable storage units, we have the resources to deliver a full-service, stress-free relocation for your home or office. Our professional movers will bring tools to disassemble your bed and reassemble it for your convenience – just notify your moving specialist to “bring tools”. You may contact us seven days a week for rate quotes or for assistance in planning the logistics for your move. We even work on many holidays because we understand that your time is precious. 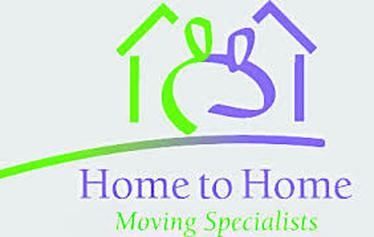 Our Moving Company in Round Rock keeps a close eye on the moving industry market. We do our best to keep costs low and customer satisfaction at a peak. Our professional movers work quickly and carefully to relocate your home or office at great rates! So, you're on a tight budget? We strive to help you find the best solution to meet your bottom line. When you order packing supplies from us, we'll ship them to your door free of charge. In most locations, we provide complimentary wardrobe boxes to help you move the contents of your closet. We'll bring tools for basic assembly or disassembly during your move where needed. The truck is inclusive with our hourly moving rates as are the dollies, blankets and padding to protect your furniture. Our Round Rock professional movers are well trained in loading, unloading, packing and unpacking. When you contact us, your moving company in Austin specialist will consult you on the best solutions to meet the needs of even the most complex moving arrangements. Need to make extra stops? No problem. Need extra men for a heavy entertainment center? We offer discounted rates when you hire additional men for your move. Our operations department is efficient and streamlined. Our drivers report to our branch managers. This means a driver anywhere on the road in America is only one tier away from the decision making process for the entire company. We are in touch with every aspect of operations and we react with speed and sensitivity to our drivers and customers' needs. Round Rock Moving Business offers liability insurance, full workers’ compensation, and valuation protection. Our professional movers are valued, full-time members of our staff—not day laborers. We are a member of the America Moving and Storage Association (AMSA) ProMover program. The ProMover program takes the worry and the hassle out of moving by helping consumers identify quality professional movers who subscribe to the AMSA goals. - Member of the American Moving and Storage Association (AMSA) and the California Moving and Storage Association (CMSA).